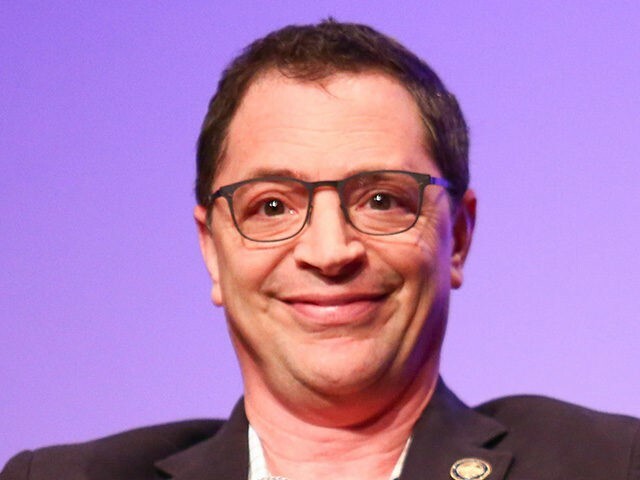 Scandal star Joshua Malina called President Donald Trump and the people who voted for him “stupid c*cks” in a post to his Twitter account Tuesday. “If you’re one of the stupid c*cks who voted for this stupid c*ck, do you not feel like a stupid c*ck?” the 51-year-old actor wrote. The actor’s comment came in response to the president’s stern warning to North Korea Tuesday over the county’s repeated threats to attack the United States. Speaking to reporters at his golf club in Bedminster, New Jersey, Trump warned that North Korea and its dictator Kim Jong-un would face “fire and fury like the world has never seen” if the country refused to stand down on its nuclear threats. The Washington Post reported Tuesday that according to U.S. intelligence reports, North Korea has already successfully built a miniaturized nuclear warhead that could be capable of being launched on an intercontinental ballistic missile. Malina regularly attacks and criticizes Trump on his Twitter account, often responding directly to the president’s tweets. The actor was a vocal supporter of former Democratic presidential candidate Hillary Clinton during the 2016 campaign. In September, Malina reunited with his former West Wing co-stars Bradley Whitford, Allison Janney, Dulé Hill, Richard Schiff and Mary McCormack to campaign for Clinton across the state of Ohio. Trump ultimately won Ohio on his way to his presidential election victory. We make losing Ohio look good.